On perusing the banter on multiple social media platforms it becomes apparent that bar some exceptions, users for the most part remain fixed in their views and ideologies. A further observation is that many users do not seem to fully appreciate what others are communicating as reflected in their own responses. For me this raises the whole issue of modes of communication and subsequent change or absence thereof in the engaging individuals. As I see it, there are essentially two modes of communication – discussion on the one hand and dialogue on the other. Discussion is characterized by the contribution of subjective information relevant to a topic. From this sharing of information there may arise a degree of learning as a consequence. But very rarely does growth or evolution of the cognitive-emotional component occur. Dialogue as defined by the physicist David Bohm is a very different form of engagement. In this interaction the fundamental requirements for participants in communication include a sensitivity to all that the other represents – incorporating gender, race, culture, religion and subjective opinions. This represents a non-judgemental appreciation. By its very nature it requires that we attempt to be the other and feel where the other is coming from, prior to responding. This approach establishes rapport which then serves as the vehicle or platform for the ongoing engagement. The existence of rapport will support all differences of opinion no matter how radically they may differ. Consequently if rapport is irrevocably broken for any number of reasons, the honorable action would therefore be to disengage. To move from a space of discussion to dialogue requires change. At its most superficial level, change may be elicited by applying or inflicting the ‘carrot and stick’ approach. This approach may be deepened or made more comprehensive through the application of more strategic behavioral modifications where the ‘carrot’ or the reward experienced, consequent upon the behavioral change, becomes the sustaining enhancer or convincer. However by its nature, this form of change is very much context-based and lacks a deeper neuropsychological support. 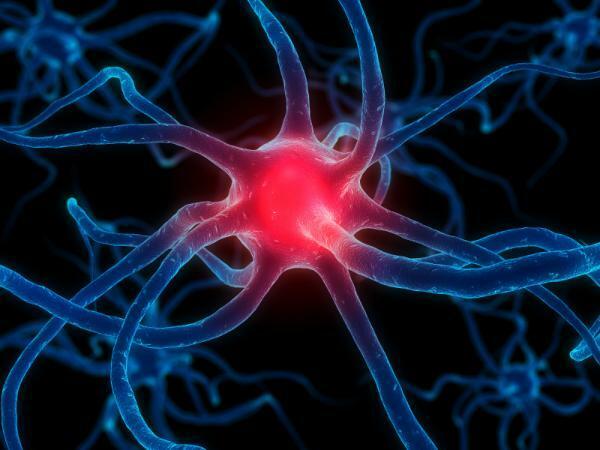 Sustained change is underpinned by the neurophysiological process of neuroplasticity – the growth of new inter-neuronal connections representing newly recognized associations (integration) and the breaking down of redundant ones. Neuroplasticity-based change is best observed in the environment of neuro-rehabilitation. In this space, individuals who have lost neurological function either due to injury or disease are coached in a multi-modality environment to regain vital function. There is clear evidence to show that the growth of new neuronal processes parallels learning and change. The success of neuro-rehabilitation requires the incorporation of five core elements: Purposefulness (goal-setting); Self-esteem/self-efficacy; Reward gratification (task engagement, task mastery, sensory gratification); Achievement (anticipated or experienced, greater than anticipated); Value contribution to self and to the external environment. Importantly, neuroplasticity-based change takes time. This is usually of the order of several months as opposed to unsupported ‘carrot and stick’ type change which is relatively rapid but as indicated previously, serves mainly to modify context-based behavior and existing habits. Change however cannot be prescribed upon oneself or upon others. Real change must necessarily emanate from within the individual. In other words a given individual becomes ripe or receptive to change when prompted from within. And this prompt is invariably an emotional one reflecting a dis-ease that has arisen from engagement of self with elements in the environment. Therefore while the interventionalist can establish a program and environment conducive to change, the receptivity, engagement and success of the intervention is ultimately a reflection of the subjectivity of the individual. The first impediment to change is inertia and holding on to the familiarity of the status quo. Deep to this however exist impediments which lie in the murky depths of the psyche. It is way beyond the limitations of this short discourse to identify and describe all the potential impediments to change. For completeness sake though allow me to describe some of the dynamics that we come up against. These include nurture deprivation-induced low self-esteem / self-efficacy and compromised personal gratification which often goes hand in hand with deficient meaning and purpose. Anxiety, fear and distrust become the prevailing emotions. In the search for compensatory reward these individuals may develop behaviors and habits to provide much needed dopamine. The obvious compensatory behaviors include addictions, incorporating substance abuse. But life is cruel to these individuals. The narrative of their lives is interwoven with the consequences of their compromised self-esteem, deficient meaning and purpose and low gratification – a feeling of persistent melancholia and anhedonia. The negative components of the psyche have conspired against their best intentions. Finally there exist to greater or lesser degrees in all of us, the violations of deletion, distortion and generalization – intrinsically we subjectively filter out selected incoming information and thus deprive ourselves of adequate substrate for change. We do this essentially to remain in our comfort zones and avoid the inconvenience of re-appraisal. The lengths that we go to hold on to this space include discrediting sources of new and potentially disrupting information. Successful intervention for bringing about change rises or falls on the presence or absence of two components – awareness and sensitivity. Awareness and sensitivity incorporate the emotional prompt that cries out for change as well as the appreciation that one will need to transcend the subjective mire to a place of objective information and reasoning. Neurophysiologically we are calling upon the pre-frontal cortex, the reasoning centre, to initiate a process of identifying sustaining and gratifying elements and through a process of neuroplasticity-based learning, integrate meaningful strategies and behavioral change. The engaged pre-frontal cortex will suppress the fear and anxiety emanating from the amygdala. As integration proceeds, enhanced dopamine function in the nucleus accumbens will support the subjective experience of reward. Reward will be further enhanced as more meaningful and gratifying activities and behaviors are implemented and experienced. Dopamine-reward then serves to drive the ongoing process and in turn also suppresses the anxiety emanating from the amygdala. Finally, components of empathy, a sense of belonging and sensitivity-based value contribution need to be incorporated so that oxytocin is secreted. Oxytocin serves to further enhance dopamine, quell fear and anxiety and further drive the positively enhancing process. The individual becomes empowered to transcend the negative conspiring cycle into a spiral of sustained meaning and purpose and experience the gratification that is derived thereby. This is the basis for neuromodulation coaching which I developed twenty five years ago. I believe that the success of neuromodulation coaching follows on from the incorporation of sound neuro-rehabilitation principles and the application of the core elements. The enhancement of meaning and purpose together with increased reward gratification, parallels raised dopamine levels. Enhanced self-esteem and self-efficacy contribute to enhanced resilience which serves to contain excessive amygdala-based fear and anxiety. Finally the value contribution to self and to the environment is associated with increased oxytocin secretion which further serves to heighten levels of sensitivity and awareness. It is my hope that heightened levels of awareness and sensitivity will gain traction in our global community and that this will underpin a process of meaningful exchange. Then perhaps we will perceive each other respectfully should we choose to engage and thereby initiate mutual growth through genuine, unfettered dialogue. Ian Weinberg is a practicing neurosurgeon. He is also a pioneer in the application of psychoneuro-immunology (PNI), the scientific study of the influences of mind states on immune function. Through the integration of the neurosciences with PNI, Ian developed a clinical and corporate program designed to enhance wellness, performance and leadership. The program is fully quantifiable by means of an online psychometric.